Chimp Haven provides the chimpanzees with the freedom to make choices, live in large social groups in spacious habitats, see the sky overhead, feel the grass under their feet, and receive round-the-clock humane care and veterinary treatment. Operating this kind of professionally run sanctuary for hundreds of chimpanzees requires funding. The federal government provides a portion of Chimp Haven’s support, but the sanctuary also needs a significant amount of private money if it is to care for all of the chimpanzees waiting to leave the labs for a humane retirement home. To provide humane, lifetime care for chimpanzees no longer used in biomedical research, as pets or as entertainers and; to educate the public on the needs for conservation in the wild and protection in captivity. In 1995, an alliance of professionals from biomedical research, animal welfare, and the pharmaceutical industry collaborated on a plan to design, construct, and manage humane, cost-effective social housing for unwanted chimpanzees–primarily those no longer used in research, but also for those who are pets and entertainers. They called the non-profit organization Chimp Haven. 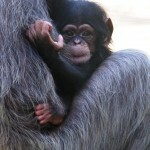 In 2002, the National Institutes of Health (NIH) selected Chimp Haven to care for federally owned, retired chimpanzees. NIH is mandated by the Chimpanzee Health Improvement Maintenance and Protection (CHIMP) Act of 2000 to pay for 75% of care and 90% of construction costs at Chimp Haven. 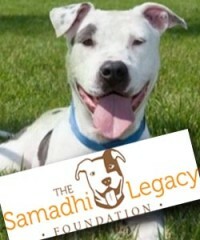 The sanctuary must privately raise funds to offset the remaining costs. The challenge of providing sanctuary to retired chimpanzees was compounded in June, 2013, when the government announced that it will retire virtually all of its biomedical research chimpanzees within the next five years. 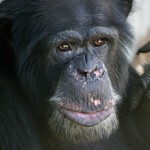 Since Chimp Haven is The National Chimpanzee Sanctuary, federal law mandates that those chimpanzees must be put under the care of the sanctuary. So, given the resources, Chimp Haven anticipates that it could triple in size. 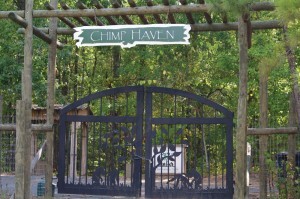 Chimp Haven is located on 200 wooded acres, just outside of Shreveport, Louisiana. The facility currently consists of three forested habitats that span from 2.5 to 5 acres each; two open-air play yards of a quarter-acre; (11) metal mesh enclosed play yards that range from 3,000 to 4,000 sq. feet; and eight mesh-enclosed “patio” areas for chimpanzees with health issues. The size of the chimpanzee groups in each area ranges from five to 26. (No chimpanzee at Chimp Haven is singly housed. Even those who are ill always have companions.) All outdoor areas provide multiple climbing structures. The indoor bedroom areas are spacious with multiple structures and materials for the chimpanzees to build sleeping nests. Chimp Haven’s professional staff delivers nutritious food, veterinary care, and enrichment (items that stimulate the chimpanzees’ minds) every day. Chimp Haven’s intent is that the chimpanzees have the freedom to make choices, live in large social groups, and remain physically and mentally active. Chimp Haven’s standards of care were acknowledged by The Association for Assessment and Accreditation of Laboratory Animal Care (AAALAC International) in 2012 when it awarded Chimp Haven with a “perfect score”. Currently, 40 employees and 90 volunteers help the organization maintain its high standards. Connie, who is missing a leg, experienced a mother’s nightmare of having her infants taken away from her. At Chimp Haven, you can find her cuddling a life-size plastic baby doll and pretending to nurse it. If another chimpanzee takes away her baby, Connie can become upset. Fortunately, such incidents are not frequent. Connie has many friends at Chimp Haven. Hamlet was taken away from his mother at a very early age; so, he never had the opportunity to get the nurturing he needed to learn chimpanzee life skills. He arrived at Chimp Haven as a socially inept young male. Over time, Chimp Haven’s behaviorist successfully integrated Hamlet into a large, complex chimpanzee group. 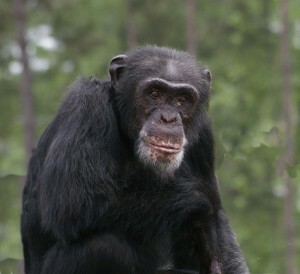 Hamlet’s constant displays of aggression and abnormal behavior were tolerated by his group mates, allowing him the time he needed to learn about being a chimpanzee by watching others. Crystal is a beautiful girl with dark black hair and white whiskers. During her life, she has been exposed to HIV, hepatitisB and hepatitis C. She is missing an eye. Today, at Chimip Haven, she enjoys a large outdoor enclosure, lots of good food, and the freedom to just hang out with her many friends. 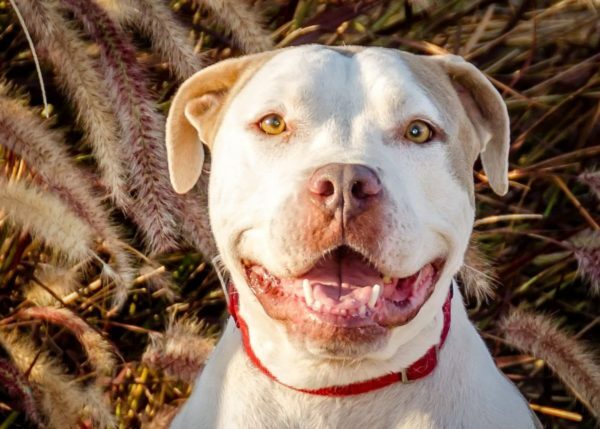 Isolated in a garage for 15 years, Henry was close to death when he was rescued. It took more than a year for him to recover physically and even longer to overcome the psychological scars of his ordeal. When he arrived at Chimp Haven, Henry did not know how to act a like a chimpanzee, which caused him emotional stress when he was introduced to other chimpanzees. Eventually, he met other chimpanzees who nurtured him and taught him proper chimpanzee behavior. Today, Henry not only thrives in a large group of chimpanzees, he is the leader! When chimpanzees leave the restrictive world of medical laboratories and arrive at Chimp Haven, they are pleasantly surprised. No longer subjected to the daily regimen of lab life where all decisions have been made for them, the chimpanzees discover newfound freedom. At Chimp Haven, chimpanzees live in complex social groups in spacious habitats on the wooded 200-acre facility. They decide for themselves how to spend each day and with whom they want to spend it. They choose whether to remain in their bedrooms or to venture outside, perhaps to build a nest to sleep in the woods or to climb a tree to catch a breeze. The have outdoor access 24/7, which means they, not the staff, decide where they spend their time. Most prefer to be inside at night, but if a chimpanzee chooses to sleep outside, that is fine. It makes it a little more difficult to count heads every four to six hours (The care giver must account for every chimpanzee), but night vision goggles are a big help. Towering trees and 20-foot play struectures give the chimpanzees the opportunity to climb and swing at altitudes with wide views of the forest and sky. Like wild chimpanzees, they are able to sleep under the stars, build nests in the forest, and enjoy the companionship of their friends. Some chimpanzees, many for the first time in their lives, feast on wild fruit, tasty ants, and water oak leaves. Not to be forgotten in this idyllic setting is that most of the chimpanzees are elderly and have chronic health issues. Chimp Haven’s highly trained staff works quietly in the background assuring that every chimpanzee is given the best care possible. Chimp Haven is the only sanctuary in the U.S. equipped to care for a large number of chimpanzees infected with the HIV virus and hepatitis. Distributing medicine to so many chimpanzees is a challenging job. As noted earlier, no one is forced to do anything against their will, including taking medicine; so, everything possible is done to make the prospect of taking medicine fun and tasty. Since chimpanzee tastes vary, that means some want their pills in a peanut butter sandwich, others in a banana; or perhaps washed down with a favorite kind of juice. Chimp Haven’s behavioral enrichment staff is dedicated to creating activities to keep the chimpanzees mentally stimulated. In the wild, chimpanzees lead active, challenging lives. Survival in the forest requires advanced cognitive ability, social prowess, creativity and memory. At Chimp Haven, the staff provides comparable mental and occupational stimulation by creating exciting behavioral enrichment experiences. Behavior and Education Program Director Amy Fultz and Behavior Enrichment Technician Erin Loeser plan at least one novel activity for the chimpanzees each day. Since chimpanzees in the wild typically spend 60% of their waking hours foraging for things to eat, food is a primary enrichment device. Among the many food treats the residents receive are “chimpanzee tamales” (Jello-flavored oatmeal with raisins and nuts wrapped in paper), “ape-sicles” (frozen fruits and juices), sugar-free Pop Rocks (candy crystals that explode on the tongue), bean burritos, and snow cones. Clearly, the chimpanzees wouldn’t find these treats in the wild, but they nonetheless provide elements of surprise each day. The enrichment program recognizes that stimulating the senses of smell, touch and hearing is important. It can be accomplished with fragrant herbs, flowers, bubbles, and music. When musicians volunteer to play the guitar and sing, some chimpanzees bob their heads along to the music and grin with delight. The chimpanzees enjoy the challenge of climbing structures and natural habitats that they can explore. But human amusements like toys, books and cuddly blankets have special appeal. During inclement weather, the chimpanzees sometimes stay inside and watch videos. There is never a lack of interesting activities at Chimp Haven! Nutritious food is very important. The sanctuary residents consume more than a ton of produce each week. To help offset the bills and provide the best fruit and vegetables, Chimp Haven has a garden, greenhouse and orchard where the entire staff–even those in administration–are expected to help. Previous post Marc Jacobs Was Caught Selling Dog Fur!